Bring the Wild back, whether you’re in the West or not! 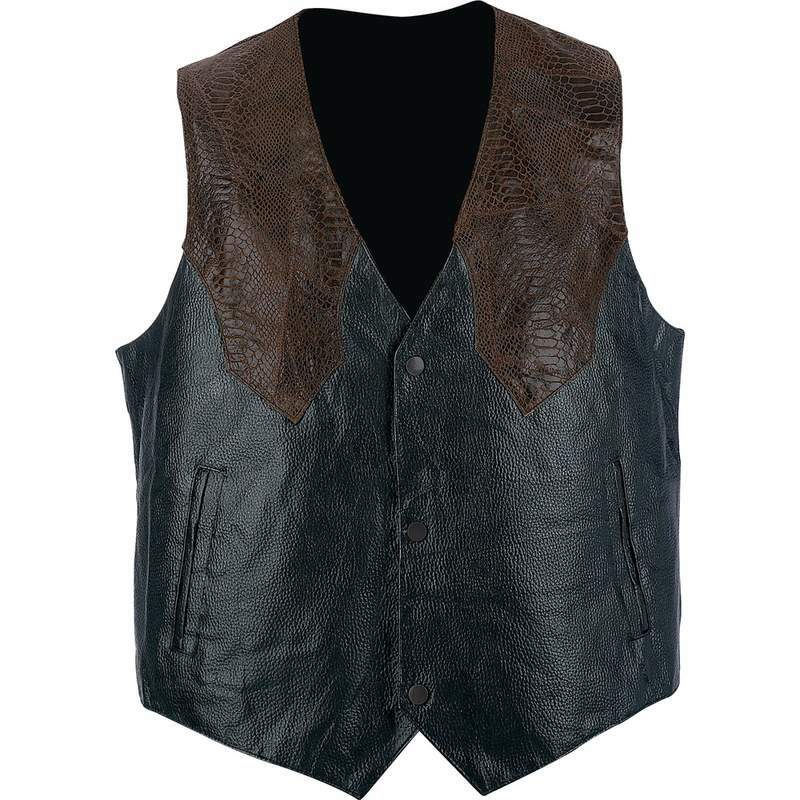 The Giovanni Navarre® Hand-Sewn Pebble Grain Genuine Leather Western-Style Vest is a stunning combination of brown snakeskin and black leather. Brown faux snakeskin shoulders and chest over a pebble grain black leather vest body create a look as individual as you are. Features 2 front slash pockets and black snaps. A full lining insures an all-weather, all-occasion accessory.